Inspire Podiatry deals with the diagnosis, prevention and treatment of Lower Back Pain, Hip Pain, Knee Pain, Shin Pain, Ankle Pain, Heel Pain and Foot Pain. We face challenges with optimism, we innovate & constantly improve. 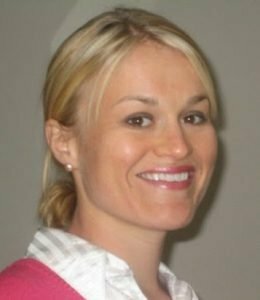 Despite having over 12 years of experience as a podiatrist, Helen Claybourn undergoes continuous training to ensure you are receiving the latest developments in treatment. She has extensive experience in treating many athletes, runners and Australian armed force service people. She has worked in clinics treating the Newcastle Knights and lectured at Universities interstate. Her passion is helping Children and Adults to relieve their foot pain and achieve their goals. As a mother herself, Helen has helped children with chronic and complex conditions of the foot from newborn to adolescents. I believe early screening for children’s foot health is important to ensure development, growth and function lead to a content and healthy lifestyle. You don’t have to be an athlete to want to seek treatment for your foot pain. We love helping people of all ages who may be suffering from arthritis and want to live active and happy lives.